This Giant Metallic Red Pull Bow measures 30cm diameter when pulled and comes with 3 metres of matching metallic red 70mm wide ribbon. Made exclusively for us, these fantastic bows are ideal for BIG gifts. 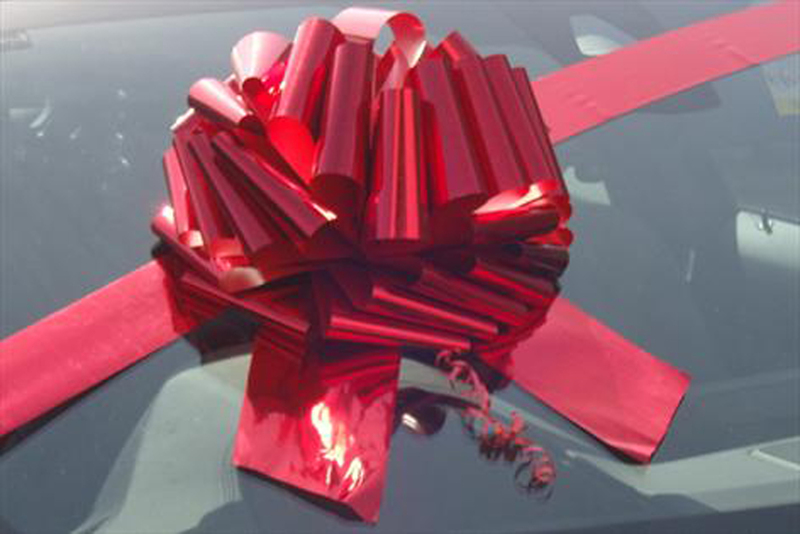 Brilliant for a new car, just secure the ribbon across the windscreen, pull the bow and tie it on. Perfect for bikes, caravans, kitchens, sofas - anything you want to turn into that perfect present.